Navdanya, which translates as the Nine Sacred Seeds, is actively involved in the rejuvenation of indigenous knowledge and culture. Founded by Dr. Vandana Shiva it has created awareness on the hazards of genetic engineering, defended people’s knowledge from bio-piracy and food rights in the face of globalization and climate change. 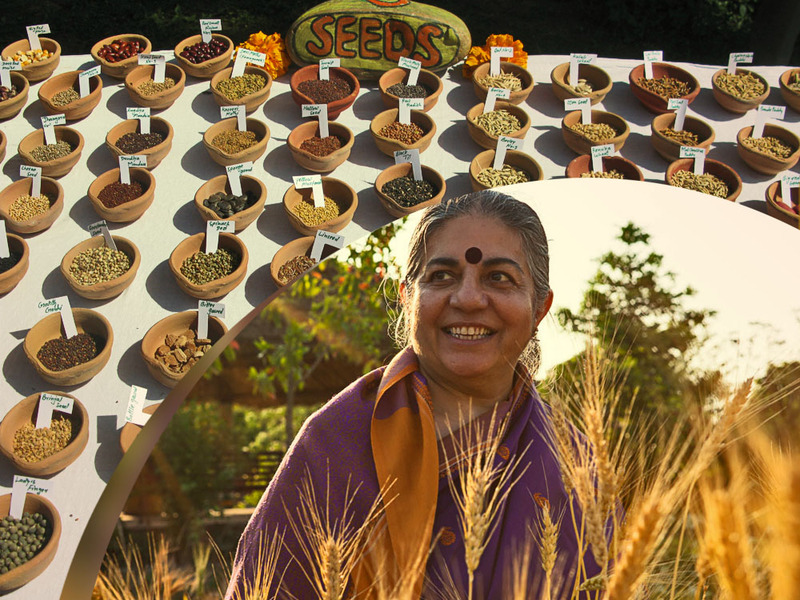 Navdanya has a Sacred Seed Project for which Grandmother Universities were created to pass along the ancient traditions around seeds, planting and ceremonies. The project goal is to strengthen the consciousness that seed is sacred, it is the source of life and identity for indigenous cultures. While the indigenous cultures are the first to benefit, the world view of the sacred seed will also benefit everyone across the world who is outraged at the desacralisation of seed through genetic engineering and patenting of seed. Through elder teachings, film, printed materials and festivals, Indigenous wisdom is being brought forth to help assure food sovereignty and add a powerful voice against GMOs that threaten their traditional food supply. As a result of this project a book was compiled and edited. Entitled The Sacred Seed, the book was released at the Bhoomi festival, where women from the Himalaya also had a seed festival and food festival.